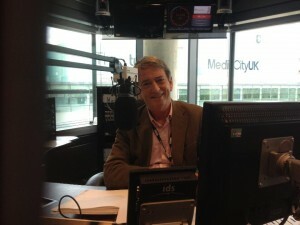 Former North West Tonight anchor Gordon Burns has retired from broadcasting after quitting his weekend BBC radio show. Burns' last ever Sunday morning show on BBC Radio Manchester and BBC Radio Lancashire went out yesterday. The 71-year-old has stressed however that he is not retiring from all work, and is going to concentrate on the Gordon Burns Partnership, the media consultancy he runs with former Manchester Evening News editor Paul Horrocks and ex-BBC North head Martin Brooks. He tweeted yesterday that he was "not retiring at all...just getting weekends back after 2 years without!" After coming to national attention as the presenter of Granada game show The Krypton Factor, Burns spent 14 years as the main frontman for North West Tonight, retiring from the screen in September 2011. He started his radio show soon after. Before his final show, he tweeted that his broadcasting career was "probably" now over, but added that he had "so many other things I want to do...time running out!!"